Ukrainian popular music group Mosaic was established in October 1993, when Oleh immigrated to Canada. Initially songs were focused on the difficult reality of immigration, and shifts in lifestyle and future. The music functions as a reminder and memory of the past. 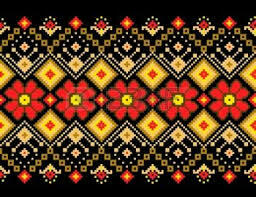 The emergence of Mosaic was a pleasant surprise in the life of the Ukrainian community in Toronto. 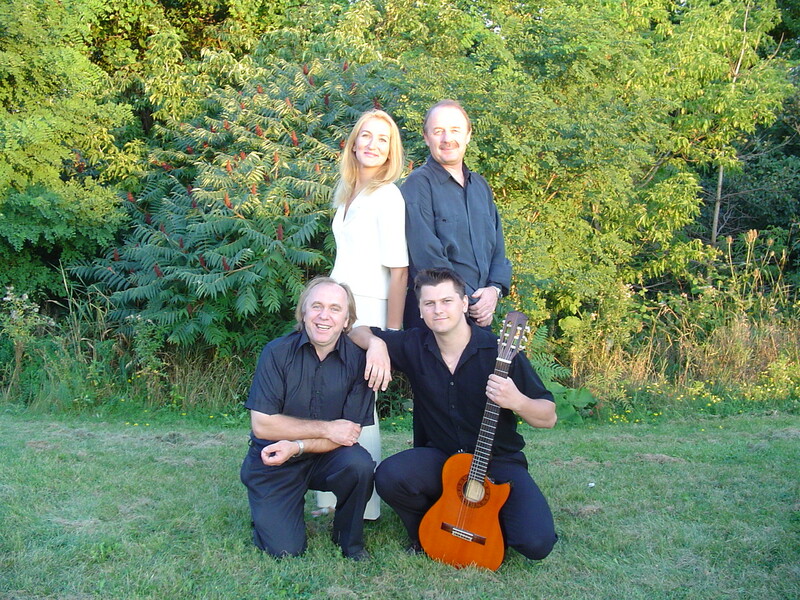 Initially the band performed under the name "Zorjana Krynytsia" It comprised Oleh Melnitchouk, Leon Vynnytskyij Victor Tsvirko. The band played frequently. Soon enough Victor left the band because of his lack of time to commit to the band. Once at the crossroad the musicians quickly find a replacement. The band was joined by Oleksandr Leskiv drummer and bass guitar player Valeryj Antonenko. With their arrival began a new period of creativity, and the band changed its name to "Mosaic". Over the years there have been a few members who came and left due to personal reasons. We would like to thank them all for being with us! 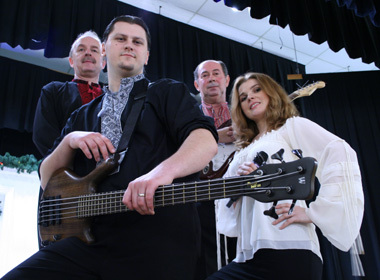 Olexandr Leskiv, Valery Antonenko, Gennadyj Burkivskyy, bass guitar player Michael Dorosh, singers Anita Radzevich, Liana Spys, and Oksana Pikush. Mosaic completely changed their repertoire, They began using their own songs, as well as other popular culture music and works of composers Volodymyr Humenchuk, Mykhailo Moda, Anatolyj Baranchuk, Oleg Kotsyuba, Anatolyj Zastup, Oleh Kraevskyj, Jurij Voronyuk, and others. The philosophy of Mosaic is based on a sincere songs which captivate and describe a range of Ukrainian immigration to Canada.